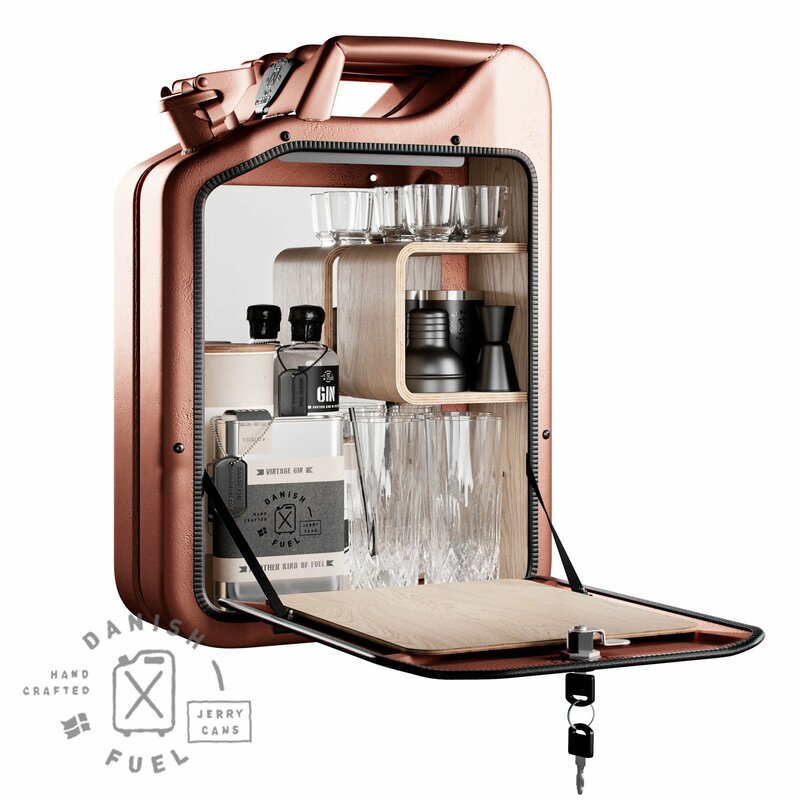 Time to refuel! 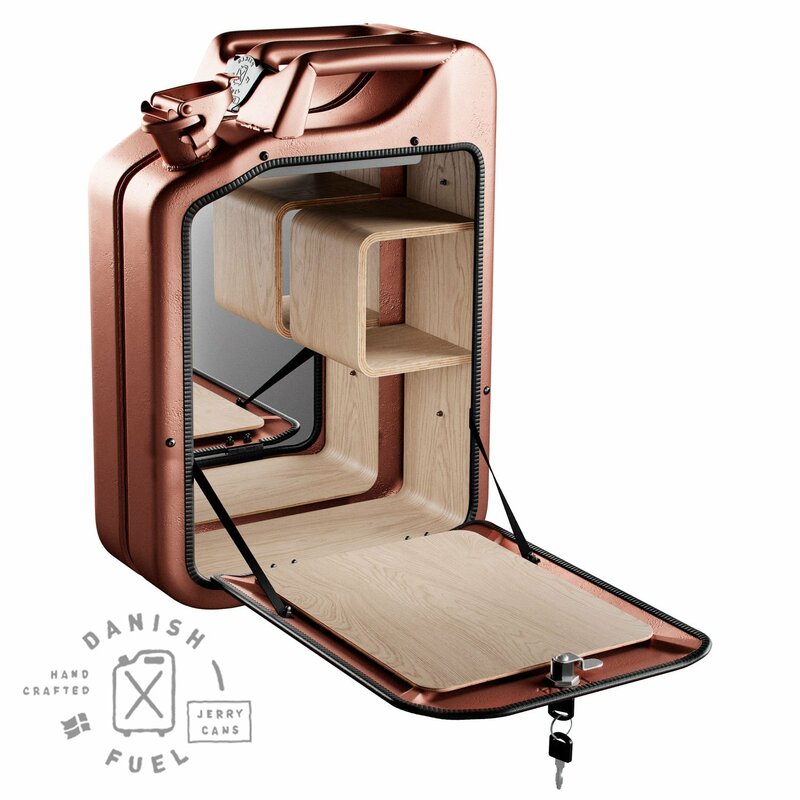 With a Danish Fuel Bar Cabinet in the house, nothing else matters! 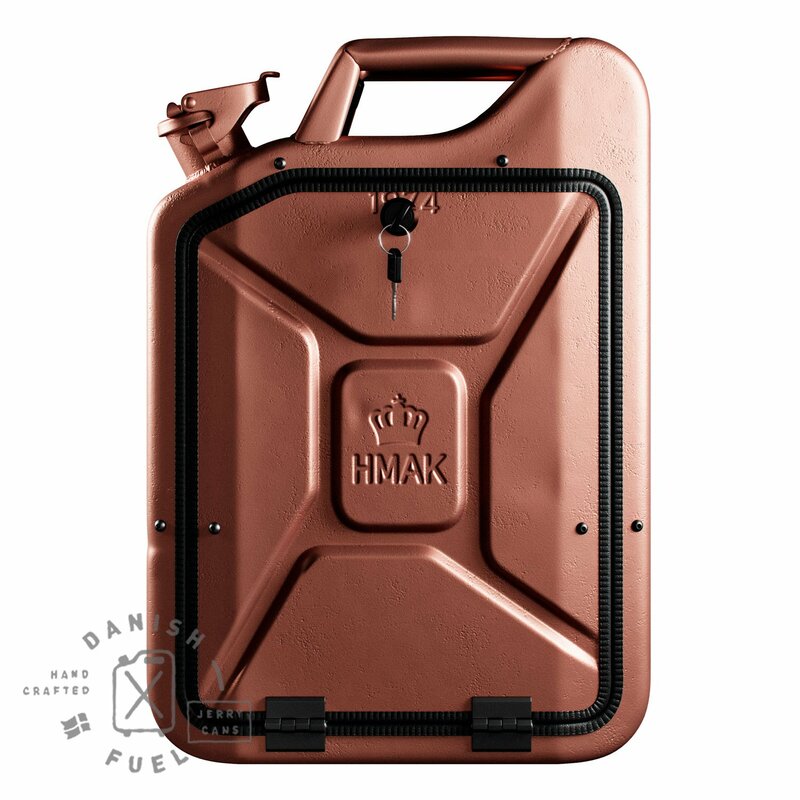 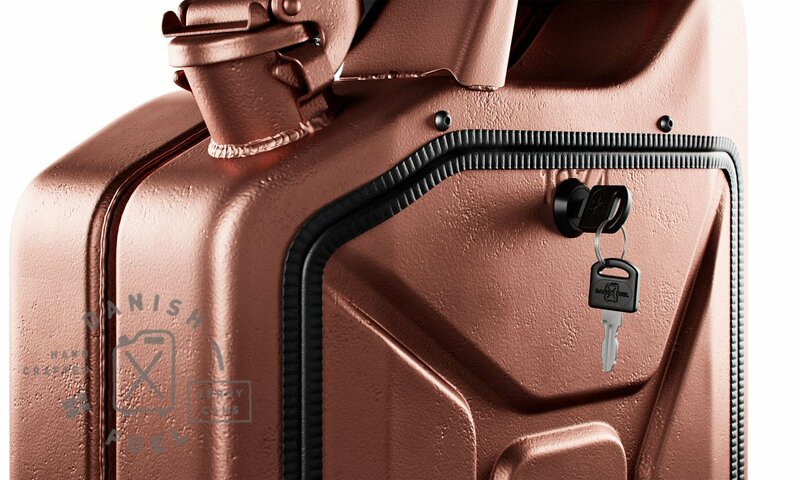 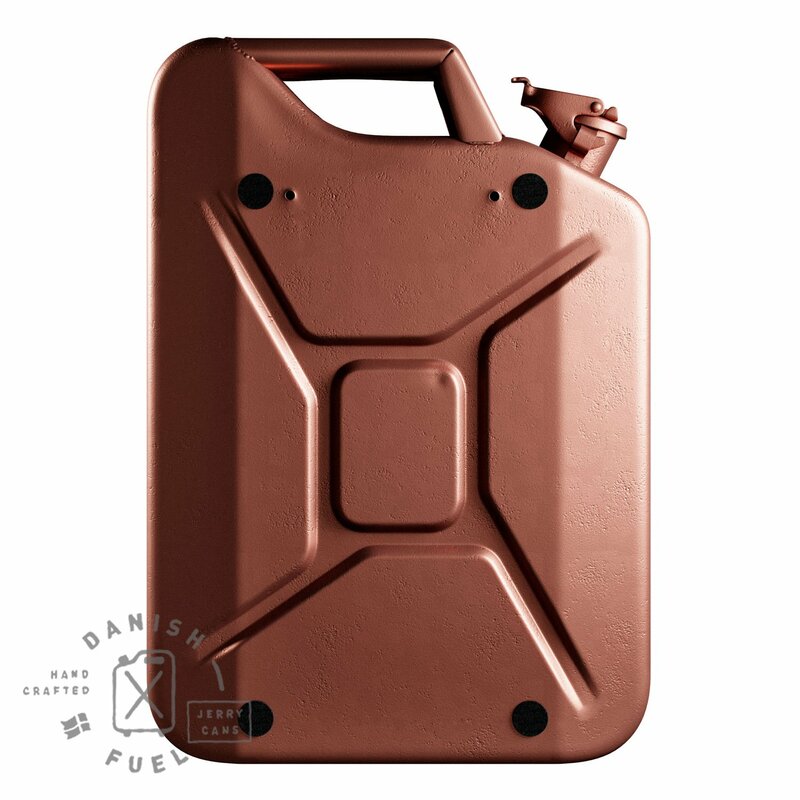 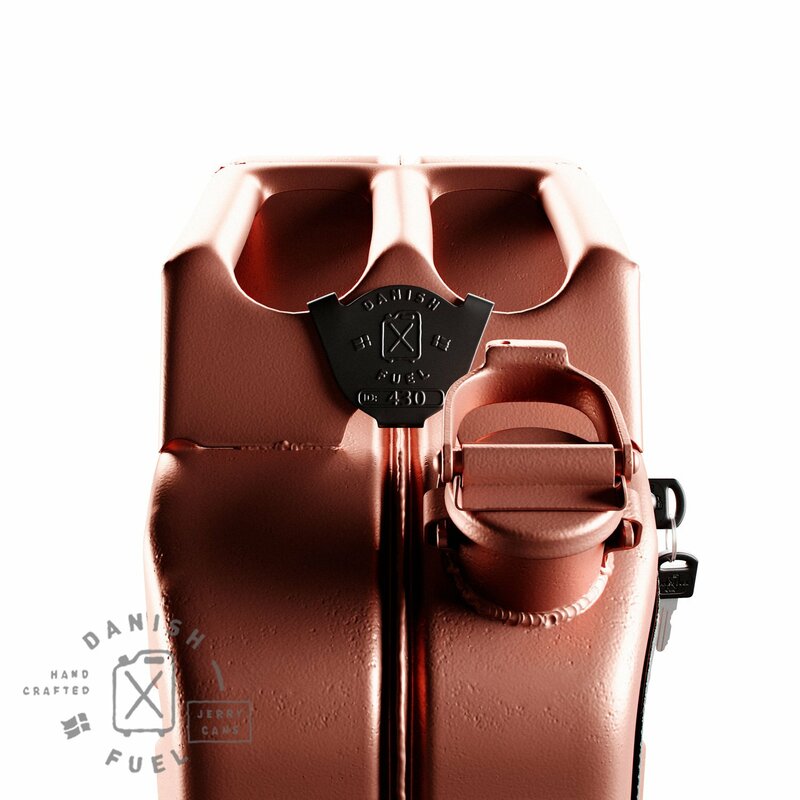 All Danish Fuel Jerry Cans origins from military surplus stockhouses and private collectors around in Europe. 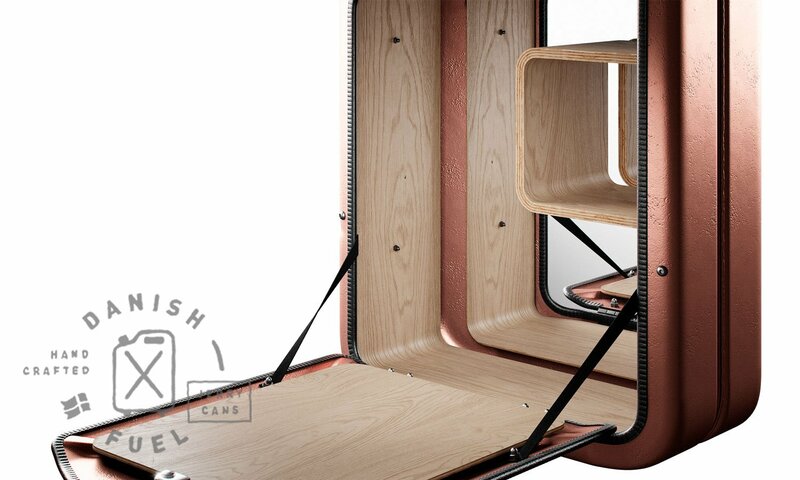 What you see here is an upcycled version. 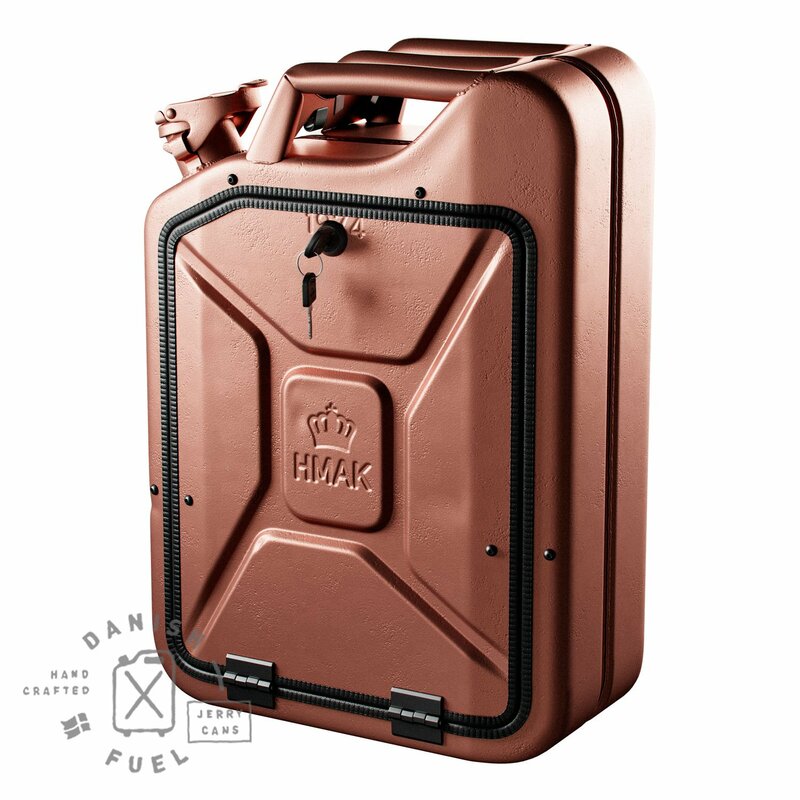 Refurbished during at three weeks period, for another kind of fuel. 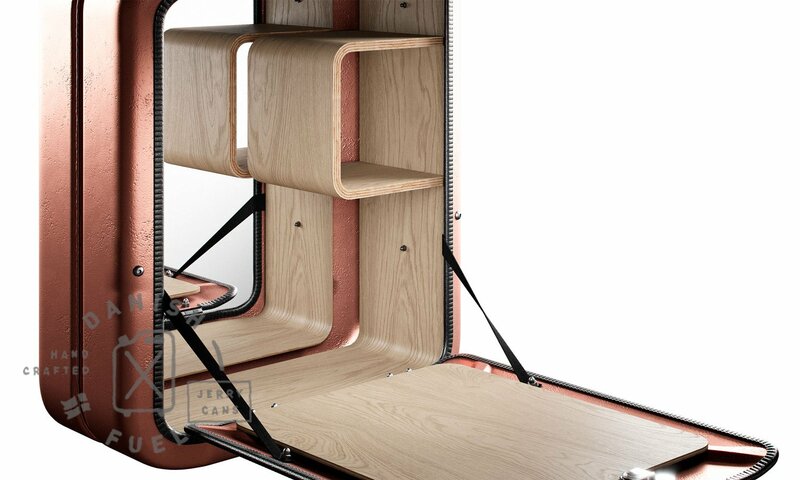 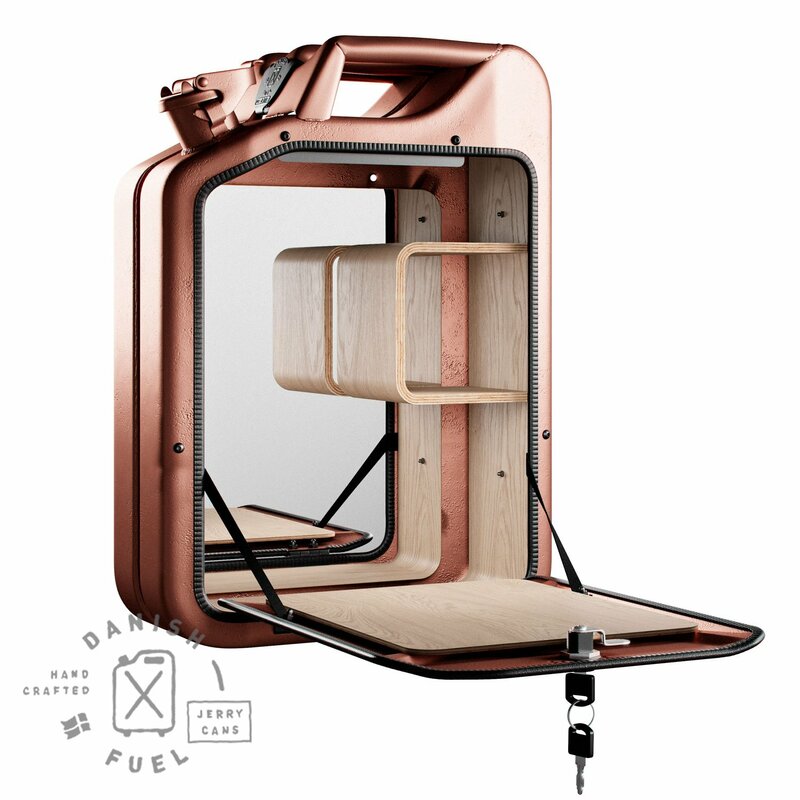 Check out the videos to see how its made. 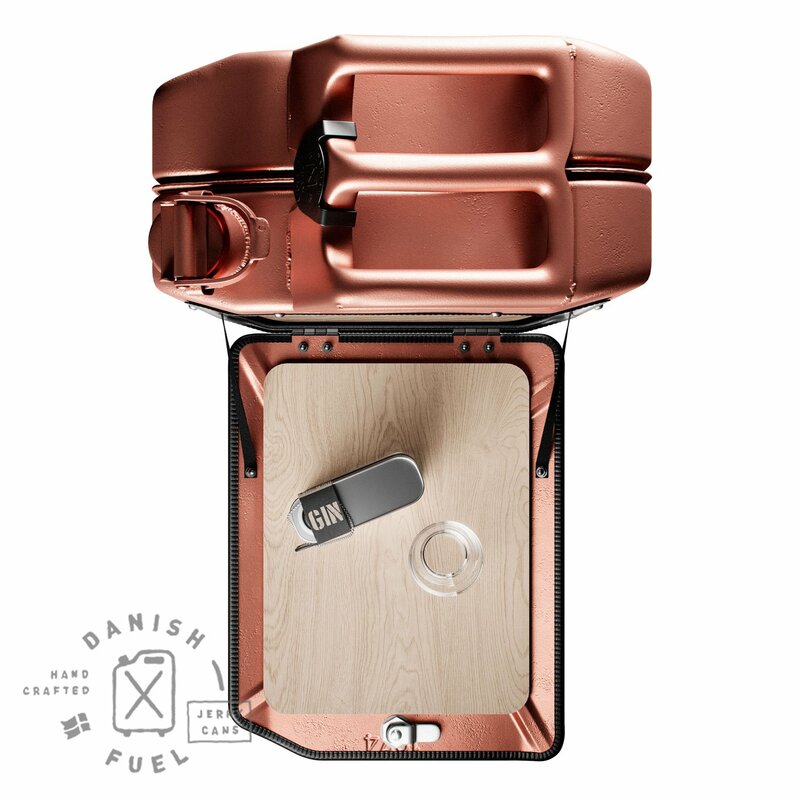 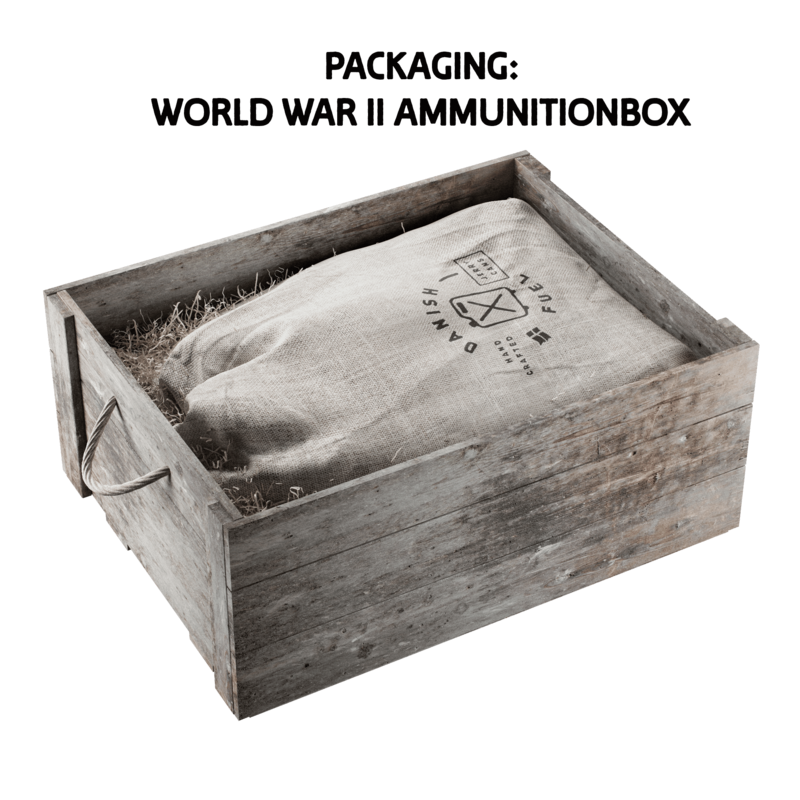 Your Danish Fuel Bar Cabinet are put in a jute dust bag and comes in a World War II designed ammunition box.